Do you love driving and get money ? 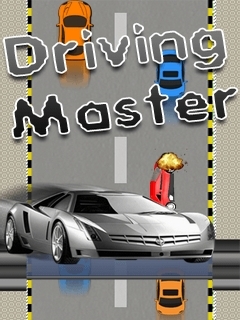 In Driving Master game you will get your chance to live your dream and collect lots of gold coins with high speed racing car. It is not easy to run your car in speed on the road. Its really tuff to avoid accidents and collect the gold coins. you will have to collect petrol to get high score .It&rsquo;s very interesting you can play for hours .Real car driving feel.....Its really FREE by Sensible Mobiles.So enjoy the game and give us your valuable feedback&hellip;&hellip;&hellip;&hellip;.Sensible Mobile Pvt. Ltd.
3D Metal Gear Solid -.. The Good The Egg and ..